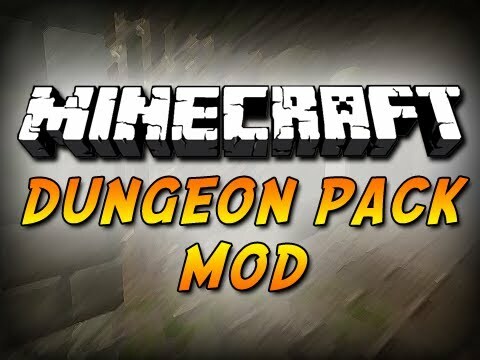 Dungeon Pack Modadds 17+ new dungeons, NPC-villages and 3 new bosses. Also the dungeons contain valuable loot/rewards. Change the rarity of simple dungeons everything! If the cheatmode is enabled a pillar of glass is going to generate on top of dungeons so you can see them if you?re far away, too. If the config is not working, theres a backup of it inside the the .zip folder of the mod. Always backup your config!! !